Very comfy, soft & warm without being to warm. Believe it or not we are sleeping better with this on our bed. It's like having a cloud over you while you sleep. I searched high and low; this was the best comforter for the price anywhere. I was not going to spend $. I put this inside a wonderful linen duvet.I'd say this is a four season comforter as long as you don't live in an extreme weather climate. Dimensions 86.0 In. X 78.0 In. Recomend. Light weight , warm, good quality. this comforter does a good job with keeping you warm. 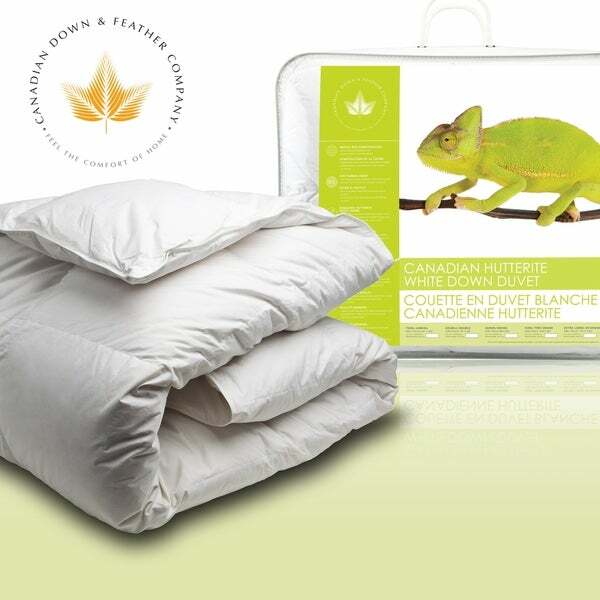 For over 20 years I owned a down comforter purchased in Victoria, B.C. This one compares just as favorably. The price is alot cheaper than what they cost you there. Highly recommend this product. Lightweight and very warm on a cool night, but not too warm. This comforter is well-made and delivers on the description. We're very happy with it. Reputation of company. Strong ratings for the product. Product description details.